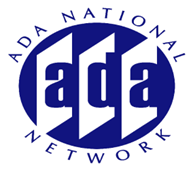 There is often confusion as to what questions can be asked and what kinds of exams can be given under the ADA during the interview process and for current employees with disabilities. This session will review the ADA and its regulations, EEOC guidance, and recent case law decisions regarding the acquisition, use and protection of employee medical information, along with practical tips to assist with complying with these requirements under the ADA. Specific issues will include whether personality tests violate the ADA, the interplay between the ADA and wellness plans, and how the courts have interpreted the ADA’s confidentiality provisions. CLE credit available via Equip for Equality.